Children and pregnant women in Sebring, Ohio, have been advised not to drink tap water as another poisoning scandal has erupted in the US. Elevated lead levels in the water were detected last year, but local officials failed to notify thousands of residents for months. Schools in Sebring, a village about 60 miles southeast of Cleveland, were closed on Friday and Monday as officials tested for elevated lead levels in the water supply. Testing over the weekend found one drinking fountain at the district's school buildings with lead levels that exceed safe levels. Pregnant women and children were asked to have their blood tested for elevated lead levels at a local clinic. Exposure to lead can cause serious health problems, including lower IQ, hearing problems and anemia in children. “A lot of us have kids at home, and we’re extremely afraid, and we need a mayor to stand up, be honest with us, hold people accountable and fix this problem,” one man told WKBN News. A council meeting was held Monday night, with Sebring residents reportedly saying they are not getting the answers they want from local officials. Some 8,100 people in three Mahoning County communities are said to rely on the Sebring water system. Water systems are required to immediately notify communities when high levels of lead are found. The Ohio Environmental Protection Agency (EPA) said in a statement it has "reason to suspect that the operator falsified reports." An emergency order has been issued forbidding the current licensed operator James Bates from working at the Sebring village water treatment plant, informing him that the agency has taken steps to revoke his operating license for endangering the public. A spokeswoman for the Ohio Environmental Protection Agency said she could not release any details about what reports were “falsified” or explain why Sebring officials failed to warn the public. "We were working with them for quite a while trying to get information out of them and get them to do the right thing," Heidi Griesmer told AFP. "The games the village of Sebring was playing – they gave us incomplete data time and time again, and were not providing documents when they were due," she said. "It made it difficult for our field office to determine whether or not they notified their customers." Meanwhile, letters from the Ohio Environmental Protection Agency to the village of Sebring show problems with lead in the water supply dating back to at least November. When asked about the EPA letters, Village Manager Richard Giroux initially denied that he had received them, WKBN reported. Ohio EPA has asked the US EPA to open a criminal investigation of what occurred in Sebring. “It has become apparent that our field office was too patient in dealing with the village of Sebring’s ‘cat and mouse’ game and should have had closer scrutiny on the water system meeting its deadlines,” Ohio EPA Director Craig W. Butler said in the statement. “We are in the process of developing new protocols and appropriate personnel actions to ensure that our field staff takes action when it appears that a water system is not complying and taking their review seriously,” he said. “We should have had this elevated for immediate action sooner," Butler told AP. The Ohio scandal comes at a time when a special prosecutor was appointed to investigate how the city of Flint, Michigan, exposed at least 100,000 residents to lead poisoning. 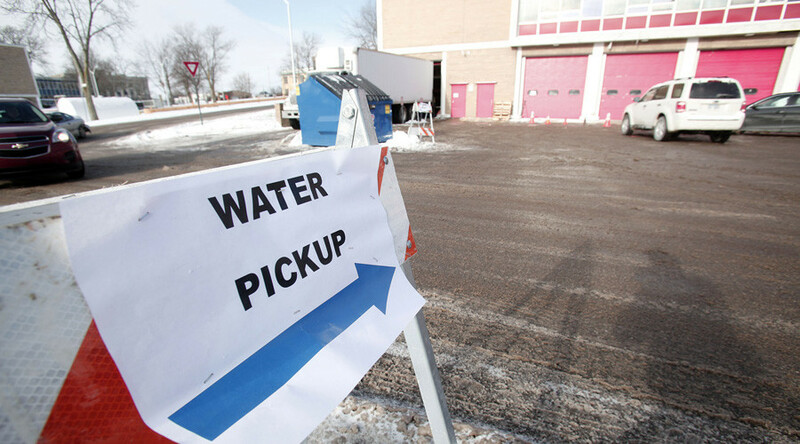 The financially-strapped city was under the control of a state-appointed emergency manager when it switched its source of tap water from Detroit's system to the nearby Flint River in April 2014 in a cost-cutting move. Operators at Flint's water treatment plant failed to treat water to make it less corrosive, causing high levels of lead in tap water in Flint. State health authorities confirmed elevated blood-lead levels in children. 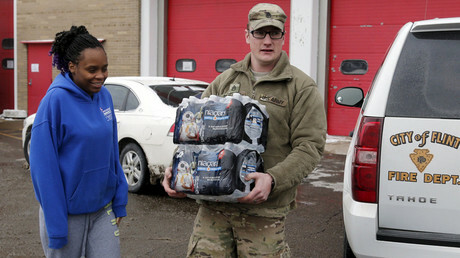 Earlier this month, Michigan Governor Rick Snyder deployed the National Guard to help distribute bottled water and filters. Volunteers and police have been going door to door with bottled water, filters and lead test kits, AP reported. Some state-run water bottle dispensaries have been meanwhile requiring people to show their IDs before they can walk away with any water, local news station ABC 12 reported. As many as 1,000 undocumented immigrants living in Flint were unaware of lead in Flint's water until recently. "One day I turned on the faucet and the water started coming out yellow,” Lucia, who left Mexico 23 years ago and has been living in Flint for over a decade, told ABC 12. "I’m not here legally. And I’m always scared that they'll arrest me, and then deport me," she said. Michigan Attorney General Bill Schuette said he may act to negate customer bills for the poisonous water that Flint residents are being forced to pay.